Photo by Lydia Liu, courtesy of Creative Commons. The number one function of a school library is to promote literacy. Our district has invested many years and many dollars building and maintaining our libraries for a reason—they are an educational cornerstone proven to promote student success. Instead of closing these key resources, we should be growing them with new books and new technology. Research shows that schools with libraries score better on achievement tests and have higher graduation rates. 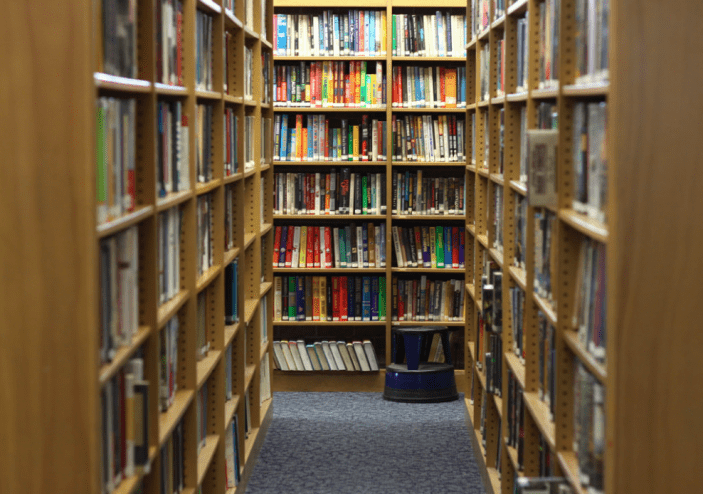 With the achievement gap widening in Sitka, our students need more library time, not less. School libraries ensure ALL students have access to books and other resources that provide reliable, trustworthy information. Without a fully functioning school library, many middle school students simply cannot access books and other educational resources outside the classroom. Libraries are safe, inclusive places where students can learn to navigate the social-emotional hurdles of adolescence. They provide a quiet atmosphere in a busy world. In libraries, students can de-stress, interact with trusted, caring adults, and find resources on health and well-being. But even open libraries can’t run on volunteers alone. Only librarians can order and catalog new books that are relevant to today’s students. Only librarians can teach library skills and support classroom curricula. Librarians run special programs like book fairs and Battle of the Books. They organize author visits and other events that get students excited about reading. Librarians turn reluctant readers into eager ones. Studies show that becoming a competent, lifelong reader is often the result of finding one book that is engaging. Access to a wide array of books across genres makes this possible, and librarians are the specialists trained to give students this life-changing opportunity. To keep their doors open, school libraries depend on education funding from the state, which has been in short supply in recent years. This year will be no exception. Governor Dunleavy and lawmakers will set the new state budget in February, and deep cuts to education are anticipated. Families for School Libraries will offer a forum for Sitkans to voice their concern about education funding on Monday, January 28 from 11:00 am to 7:00 pm at the Blatchley library. Attendees can drop in and call or email key lawmakers before the governor’s budget is set next month. Whether your priorities include libraries, sports, the arts, or any other school programs that rely on state funding, this is an opportunity to let lawmakers know. Afternoon snacks and a light dinner will be served. For more information, email FamiliesForSchoolLibraries@gmail.com, call 738-9942, or find us on Facebook. You CAN influence the future of our schools and the future of our state. Monday, January 28 at the Blatchley library is the time and place to start.